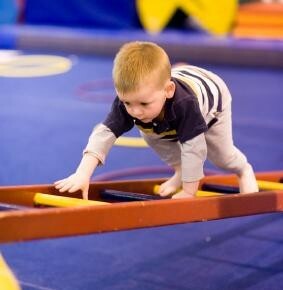 Salto Gymnastics is thrilled to offer Discovery Drop In on Tuesdays from 11:30 am to 12:30 pm. Participant ages are up to 6 years old. Family Drop In is twice per week on Fridays from 11:30 am to 12:30 pm and Sundays from 12:30 - 2:00 pm. 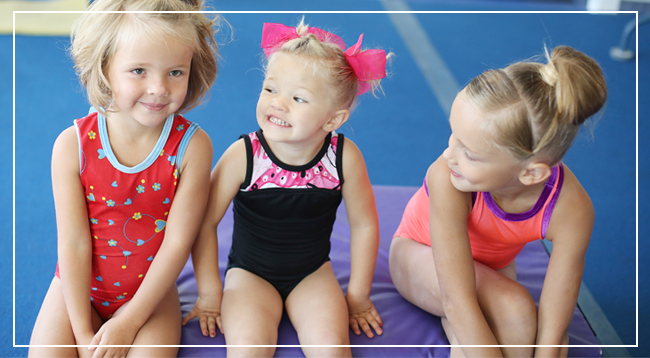 Families are welcome to attend with children of any age and learn through exploration at our safe, fun, and exciting gymnastics center. All participants must sign AGF's Notification of Risk and Personal Information Protection Act form. You can download the form below, print it and fill it out prior to drop in, to save time when you arrive. CANCELLATIONS AND CLOSURES: Drop In is cancelled during all statutory holidays and scheduled school breaks. For a list of our closures and cancellations, please see our Calendar. *Children 12 years and under, participating in Drop In are required to be supervised at arm's length at all times. A single adult may not supervise infants while supervising participants. Therefore, families who bring infants to Drop In should plan to have a second adult present to supervise participants and the infant appropriately. This is an Alberta Gymnastics Federation policy, of which Salto Gymnastics is a member. We thank you for your understanding and cooperation.